When managed correctly, Performance Testing can clearly help you access “YOUR” risks and enable informed decisions. Planning for performance testing is like planning for your future with the peace of mind that your investment will work on go-live. Your strategy for Performance testing should include a measure of real user experience response times otherwise your decision is based off risky theoretical or simulated conditions which can represent a completely different behaviour. Our experience with managing various performance projects continues to help our customers identify and rectify performance bottlenecks and application stress points earlier in the development cycle which dramatically reduces their costs and improves stakeholder confidence. It’s no doubt your performance test strategy will require a load testing tool to simulate a large number of users navigating your application. The rate, throttle and load is a standard load testing technique required to measure your applications ability to handle the traffic expected and most organisations have this part covered. We take the process once step further by utilising any of your conventional automated functional testing tools (Selenium, QTP, RFT, Rational Robot, Testpartner, TestComplete…) to perform client side real user experience performance tests. 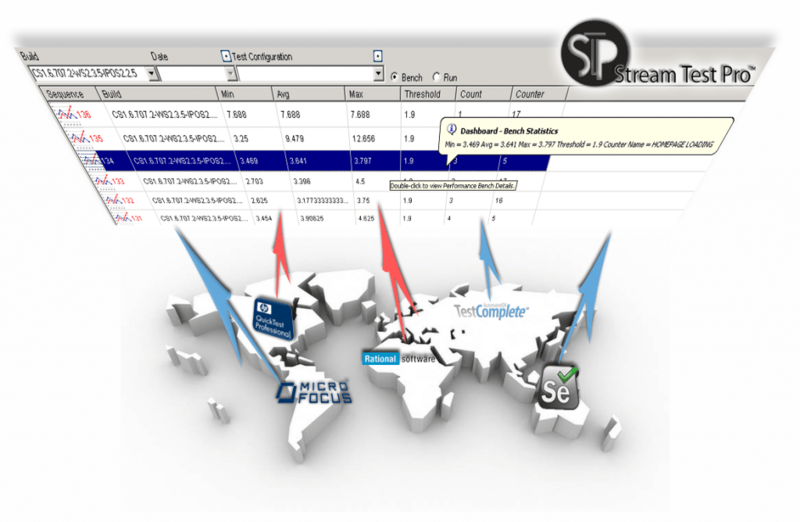 The tool integrated within single line calls to capture transactional performance counters using TestPoint’s Stream Test Pro framework ensures you can simulate real user experience performance tests across any geographical region. Let’s take the example of a customer using both QTP and Selenium for their automated functional testing solution and HP Load Runner for non functional load testing. They have invested quality time in automating a regression suite to validate the applications functional components across builds and configurations when the application regresses. 1) The first is noticeable immediately as your automated functional regression tests can now capture performance response statistics allowing you to monitor and compare your applications performance while running functional regression tests. 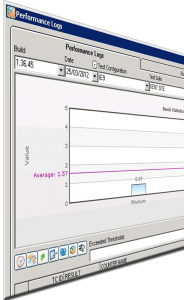 The data is measured based on your performance counters providing a real time simulation for each test cycle and across your build and configuration. 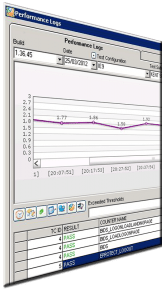 Your test team can now provide statistics such as the minimum, average and maximum response times including thresholds recorded for a specific period and criteria meaning any key areas which show up as a performance risks can be reported earlier and traced back to the test case scenario, subsystem and requirement including a link to the applications screen grab and story board helping identify the issue. 2) The second major benefit of using STP with your functional testing tool is you now have the ability to run your required tests or parts of your tests along with your load testing exercise. This now provides a real chance of recording client side user experience performance tests while a defined load exists against your application. The process of capturing the response times and key performance metrics is completely managed by STP and centralised for access both in real time (while tests are running) and post runs. The data is accessible and made easily available for historic/future comparison utilising trend reports, run view and performance bench view graphs/data export features. The process of providing a health performance report becomes a natural instant process and no-longer a difficult effort.